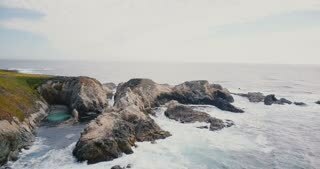 SLOW MOTION, CLOSE UP: Cinematic ocean wave crashes and sprays the surroundings. 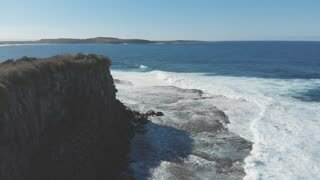 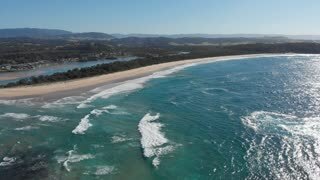 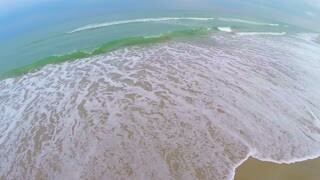 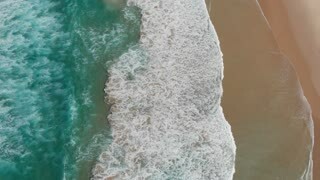 AERIAL: Cinematic shot of shallow glassy ocean and the stunning sandy beach. 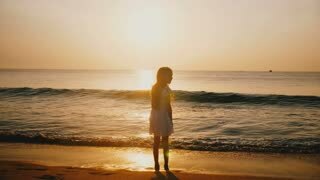 Cinematic back view shot of happy little girl watching sea wave coming on at incredible golden ocean sunset beach. 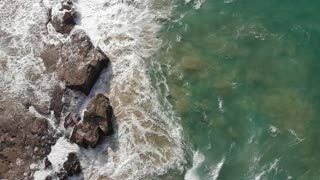 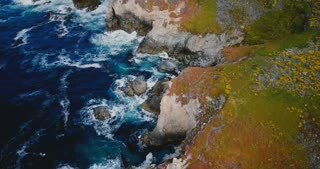 Beautiful cinematic aerial shot of idyllic ocean waves crashing over large rocks at summer Big Sur coast California. 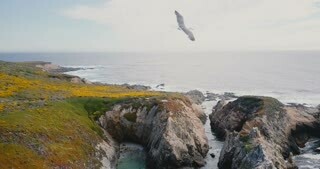 Drone camera follows seagulls flying over idyllic cinematic ocean coast cliffs and foamy waves at Big Sur California.